This colourful mattress set by Fisher Price is made using a premium quality soft cotton fabric which is comfortable for your baby's skin and allows him/her to breath better. It is a mattress set with attached openable mosquito net and one pillow. 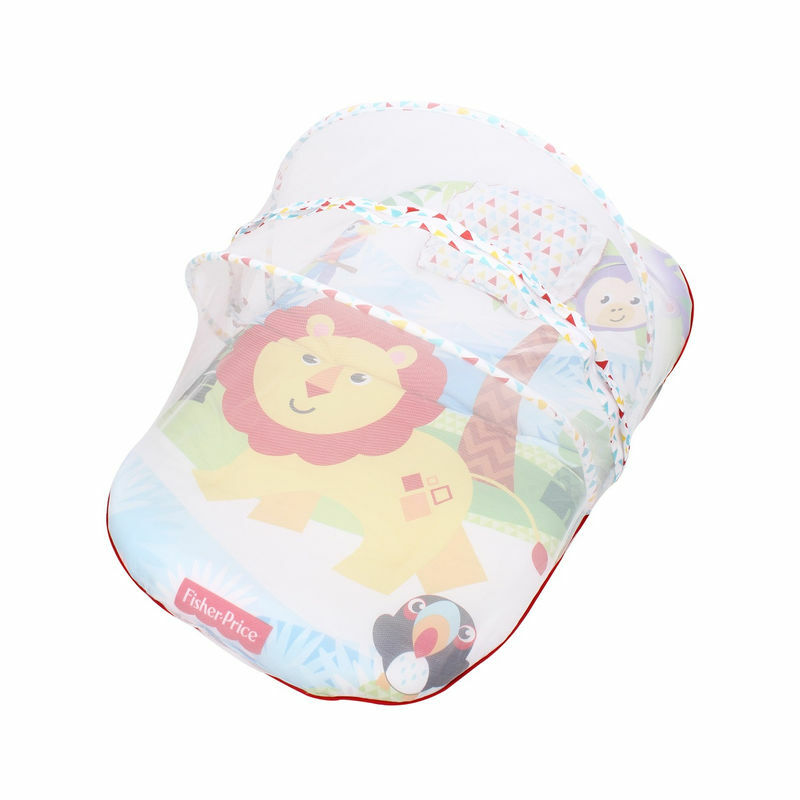 Attractive prints of lion is digitally printed using advanced technology. The colour used on the fabric is safe for children and also for the environment. The mosquito net helps to keep the insects at bay and allows your child to sleep peacefully.